Every day, most people make eating choices on-the-go without realizing that they are eating too much. If you’re constantly multitasking while grabbing breakfast or lunch at work, you’re going to have a hard time focusing on your body’s satiety levels and knowing when it’s actually full. By being a more mindful eater, you can tune into how much food you need. Are you a grazer? This means you snack on anything within reach throughout the day. If there’s candy dish at work, you can’t help by grab a piece. If there are dips and snacks at a party, you’re the first to reach for whatever is there—regardless of your actual hunger level. While there’s nothing wrong with eating when you are hungry and enjoying a party, you’re removing your ability to full enjoy the experience if your mind isn’t even in it. Use a small dish for the snack and eat from there. When you use smaller plates and bowls, your mind feels like it is getting more than if you ate from a package or large plate. That means you’ll feel more satisfied sooner! Feel yourself up on the healthy snack options first. Most parties and events will have a fruit or veggie plate. Grab those carrots and broccoli! Bring easy-to-carry fruits or veggies with you when you leave, and don’t purchase unhealthy snack foods for at home. Apples, bananas, and baby carrots are great portable snacks that will keep you full! Many, many people do this at mealtimes. 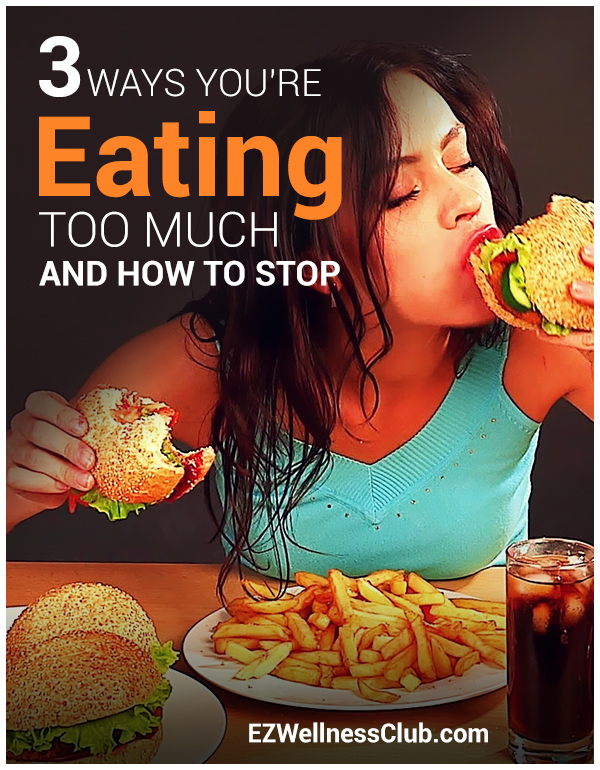 You might feel like you have to clean your plate, so you’ll continue eating until everything is gone. But when that meal is over and you’ve devoured your plate, you’re left feeling very stuffed and uncomfortable. You might even have digestive upset while your body tries to process all the food. Eat smaller portions at a time, then give yourself 20 minutes after each portion to decide if you’re still hungry. Focus on slow eating. Let yourself chew each bite slowly and enjoy all the flavors and textures. If you’re still hungry enough to eat a lot, that’s fine. The key is to take the time to listen to your body. Divide your plate in half. On one half, fill the plate the vegetables. Let the other half be protein and starch. If you’re at a restaurant, ask the waiter for a to-go box and put half your meal aside for leftovers tomorrow. Or ask someone if they want to split an entree. Add a high-quality superfood supplement like Raspberry Ketone Pro to your healthy diet to help suppress appetite and enhance your metabolic rate. Do you eat while sitting at your desk? While checking emails? Or maybe you are constantly driving or walking while grabbing something to eat. While it’s unrealistic to think that we can always eat undistracted, it’s important to schedule time in your day for eating. If you don’t plan meals ahead of time, you’ll end up eating whatever you can find quickly—and it’s usually not nourishing to your body. Pack yourself a healthy meal the night before. Make it something easy so you don’t feel like you are spending too much time on it. If you need to start with something really simple like a peanut butter and jelly sandwich, do that. Stock up on healthy snacks like these at work. These are way better than anything you could get from the vending machine. Allow yourself to STOP and eat. If you’re at work, set aside your lunch time to unplug and focus on how good the food is that you’re eating. Or if you’re driving, pull over the car or stop in the parking lot to eat first. Making mindful eating decisions will help you give your body the right amount of food it needs without overdoing it and making yourself uncomfortable. Continue with these tips and you’ll likely find yourself feeling more comfortable in your body! P.S. Looking for more rapid weight loss results? Try Pounds and Inches Drops to lose weight rapidly in all the right places!